Choosing the perfect gift for someone can sometimes be a real chore, What do you get them? What shows that you care? I've been there as I'm sure a lot of us have. But can you really go wrong with Jewellery? 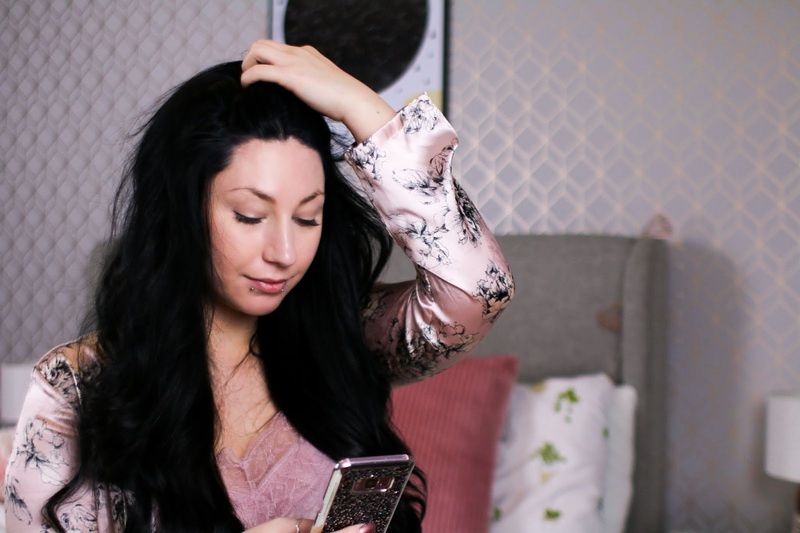 took the time to think about the perfect gift because I am someone who is especially picky with what Jewellery they wear, I have a set style that I like and if someone can give me a gift of jewellery that hits the mark, I feel so incredibly lucky. This is where THOMAS SABO comes in, I don't think I've ever found a Jewellery company that always get's the design so spot on, scrolling through their website or even going into store sees me wanting EVERYTHING! I love their rings, their necklaces, even their bracelets and I'm not normally one for bracelets. I've been lucky enough to collaborate with THOMAS SABO and I can't express how excited I was when I got the email, I have been into their Glasgow store many times and I always lust after their Charms from their Charm Club because they really have such a stylish look to them. Since 2016 THOMAS SABO have brought out a new Charm Club collection twice a year, there are more than 600 original charm designs and over 60 charm bracelets included in the charm club collection, the possibilities are endless on how you style your bracelets with your charms. 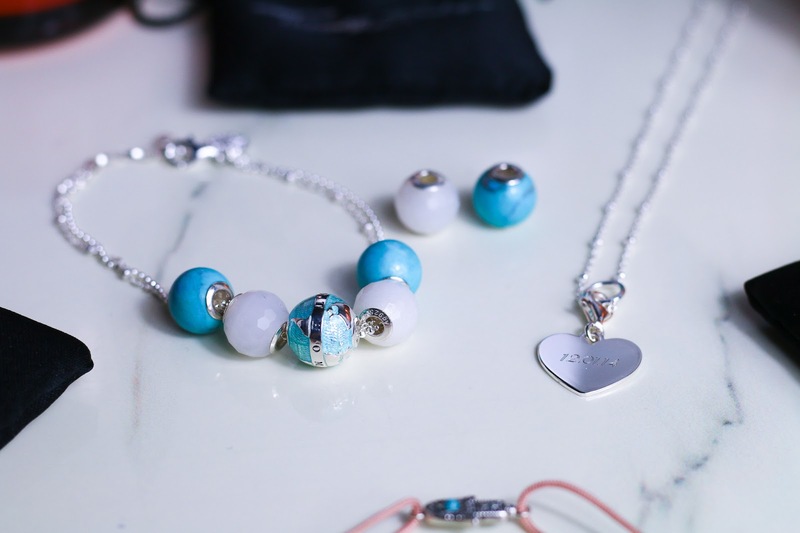 THOMAS SABO has revolutionised the design and look of the Charm Club Collection and set the trends for Spring/Summer 2018, there are so many new pieces that are lust worthy and I personally can't wait to just keep adding to my bracelet, I've never been a bracelet person but there's something about the THOMAS SABO collection that really speaks to me. What I love about the charm club is that it's for everyone, it doesn't matter what age you are, what gender, or anything alike, it's for everyone! You can put your charms on the classic bracelet, necklaces or even their paperclip style chains plus you can get then in 925 sterling silver and 18k gold plating.Their designs range from the playful, the creative and meaningful, to the lucky, rebellious and the symbolic. 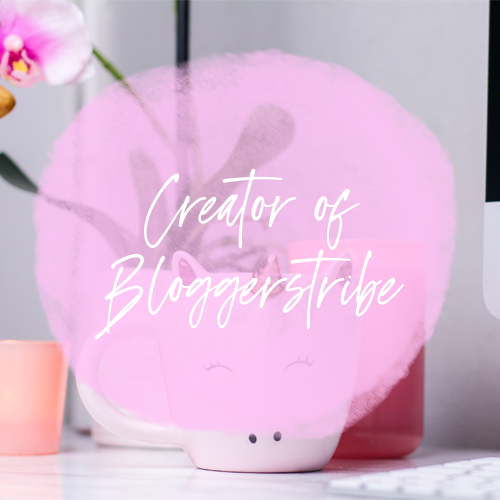 Generation Charm Club launched globally in 2018 and has been revolutionising the design, look and feel of charm club. 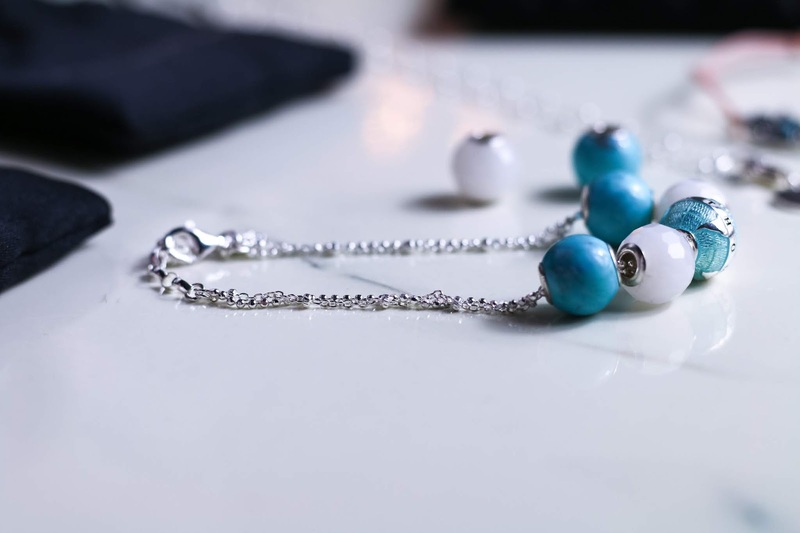 THOMAS SABO also have a range called Karma Beads, Their collectable Karma Bead range send out positive energy, joie de vivre, happiness and your individual personal karma style. 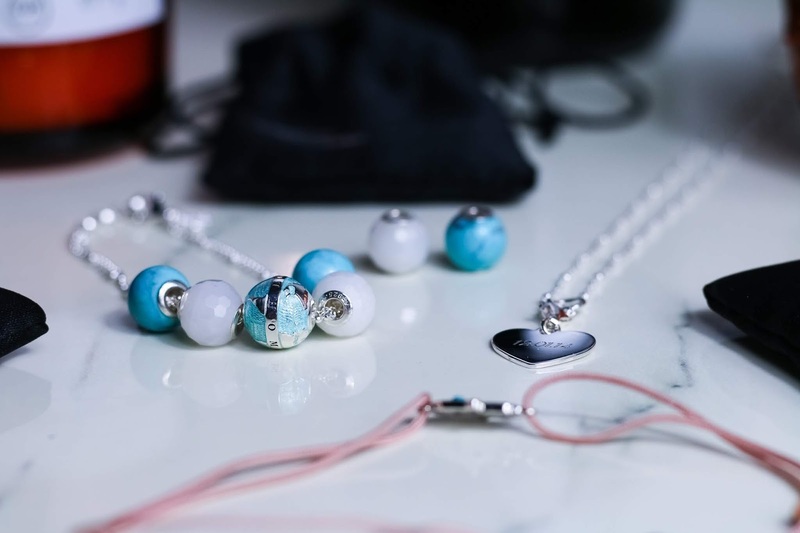 They have over 300 different Karma Beads which makes it possible to create your own unique jewellery combinations with both bracelets and necklaces alike. 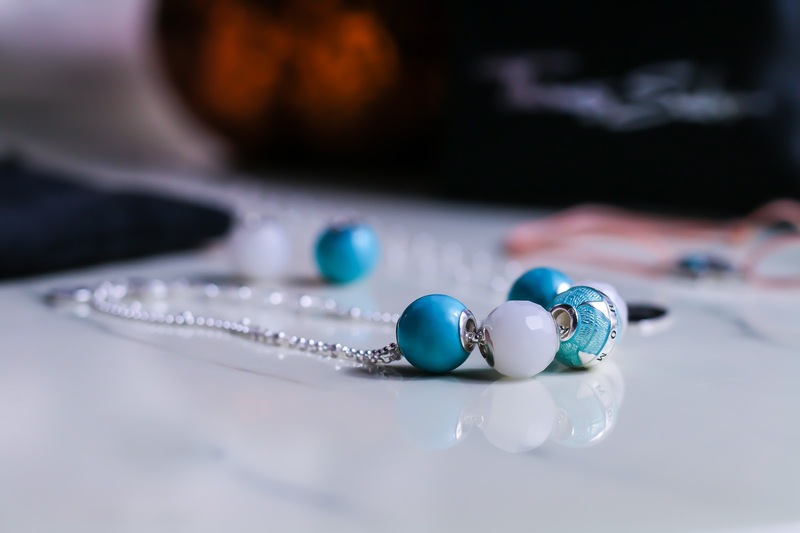 Inspired by a positive attitude and an appreciation for beautiful things life has to offer, each bead has it's own individual meaning or represents a figurative character. Their Karma Beads come in set-precious and precious stones and are complimented by intricate filigree designs in 925 sterling silver and rose gold as well as beads with touches of zirconia pave. Now onto the beads I chose and the bracelet, I am so excited to talk about these because whereI was choosing the beads I wanted to go for colours that will work with my wardrobe plus I have always loved how blue tones look on me as they match my eyes and tend to pop a lot more than other colours. 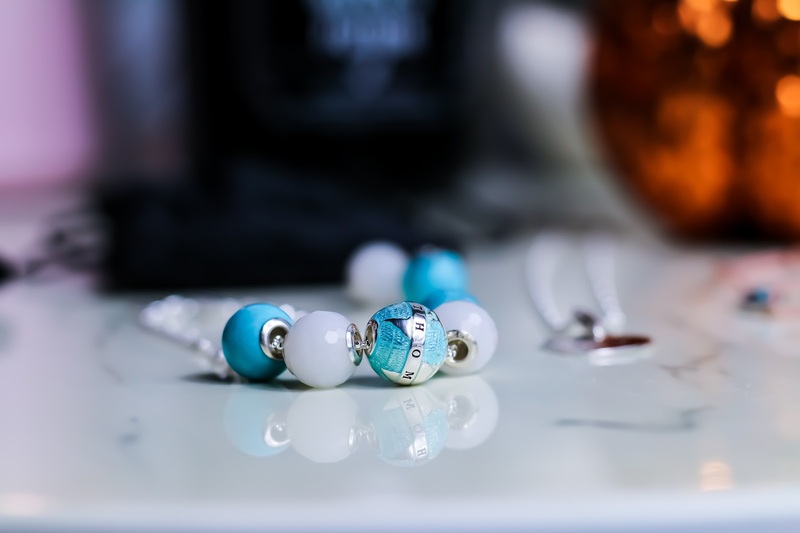 I first chose the bracelet and globe combination as my starting point, I love to travel and I thought that this bead would be the best choice for me to represent something that really make me feel alive. I also loved that it was a combo, the bracelet and the bead together, the bracelet is absolutely STUNNING! I can't believe how beautiful it looks in person, I knew the bead and bracelet looked nice in the pictures but to see it right infant of me, I was blown away. The detailing on the globe bead is amazing and I've had so many compliments on the bracelet and beads combo. Once I had chosen the Globe bead and bracelet I wanted to find other bead that would accompany the look well, I didn't want more beads that had much detail on them as I wanted to keep the Globe as the centre of attention so I went for their "HOWLITE" bead and "WHITE JADE" bead because I thought that would be quite a good combination and I do think that it was the right choice, just looking at all the beads together on the bracelet had a better pay off than I expected. All the pieces put together go really well and I'm over the moon with the bracelet, I can now wear something round my wrist that I actually love and looks beautiful. 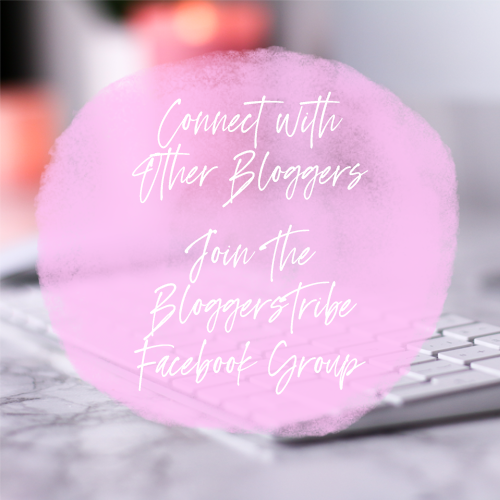 If you know someone who LOVES bracelets or bead bracelets then I can't recommend the THOMAS SABO Karma Beads enough as a present, maybe you just want to buy yourself some and give yourself that well needed treat with some beaut Beads for bracelets. Now, if you're looking for a really special gift for someone, then getting jewellery personalised is the way to go. 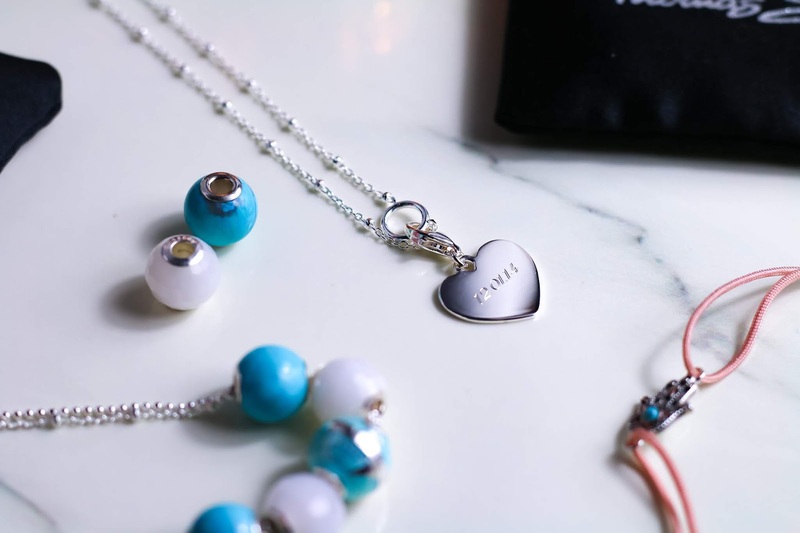 Maybe there's a special date that means a lot to the person you're buying for, maybe you're buying for your other half and want both you're initials engraved into the jewellery, well THOMAS SABO has you covered. From the beaded love bridge bracelets, love coin pendants, engravable charms and more, you're bound to find the perfect gift. All engraving is complimentary and can be done within a few moments, this can be done if you're buying in store or if you're buying from their website. With over 13,000 engraving combinations to choose from, the possibilities are endless. Their Silver Charms are just stunning plus the fact they are Engravable Jewellery makes these the perfect gift with that special touch. I chose a beautiful, delicate necklace and paired it with a stunning charm heart pendant and got the date "12.01.14" engraved onto it. I decided to go with this date because it's the day I became a mum, it's the day my life changed forever and I experienced a whole new love that I never knew was possible. It's by far the best day of my life and I'll never forget it, so I wanted to have this on my necklace, it's something that I can carry with me always and just think of my little bear (not that I could forget him haha) it's such a special date to me that I hold very dear to my heart. Again, when this arrived I was blown away, everything about this combo is perfect and I love that the heart is a charm pendant because I could transfer it to a bracelet or another necklace whenever I want and I can mix and match pendants with the necklace, making the combination possibilities, endless. The necklace is so dainty and I love the way it sit's around my neck, it's not too long and it's not too short either. I've spoken about necklaces in the past and how I get quite flustered when I wear ones that are too tight as I have a chocking feeling which I don't like so this is the perfect length. I have been wearing it almost every day since it arrived and It feels sooooo good to finally be rocking a necklace that fit's me and my style. Last but by no means least is the anklet I chose from THOMAS SABO. I went for their "Little Secret Hand Of Fatima" because it looks stunning and in person it looks even better. It's very delicate looking and the pink band is the perfect touch of colour. I love to wear anklets, they always remind me of holiday and I normally have my ankles on show wither that be with my dresses, culottes or leggings, you can always see my ankles so this gives a nice little detail. I really like the Boho style and this anklet definitely gives that vibe, it's a great edition to my jewellery collection and I haven't had it off since I got it (apart from taking pictures) This is little bears favourite piece that I got, I think it's because it's worn on my ankle and this was a weird concept to him as he's always been too young to realise I'm wearing an anklet before, so now he really want's one of his own haha When are they bringing out a mini range? I would be buying it all haha.